Trekking agency in Kathmandu will provide you a good guide (Porter guide hire from Lukla | Kathmandu / Jiri) who is been year working on mountain as well and strong Nepal Trekking Sherpa porter. The cost for the trekking guide will be 25$ which includes his salary, food, accommodation, insurance all trekking gear during trek but not his transportation not including an above the price this is extra. And for a porter its about 18$ which includes his food, salary, accommodation, insurance and trekking gear but not his transportation. 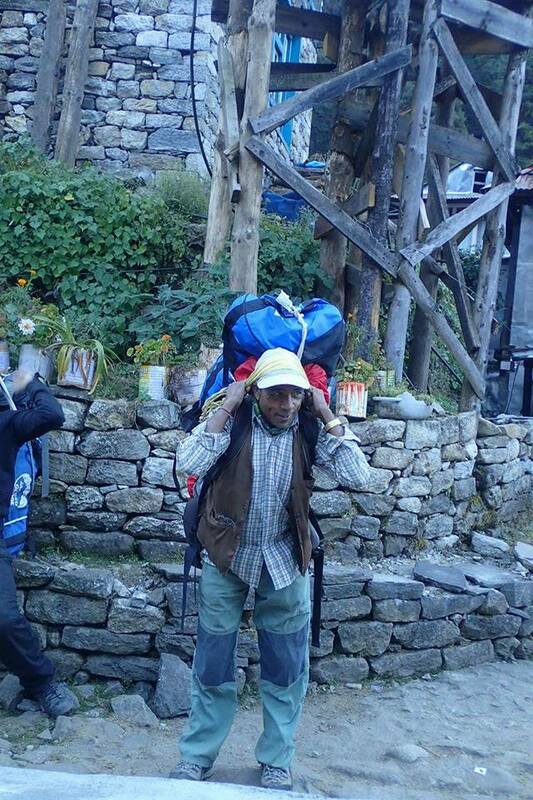 The will carry up to maximum 25/30 kg one porter during a trek.